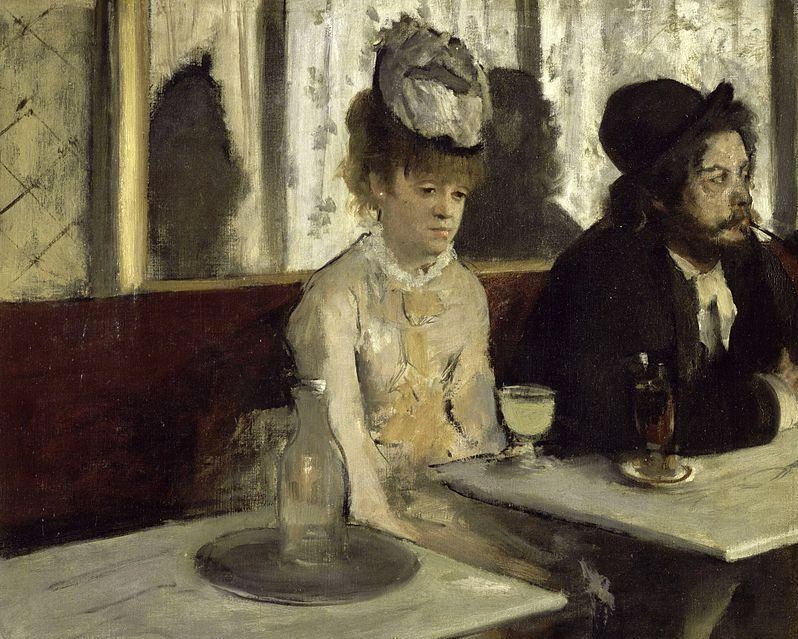 The ugliness of this election has certainly caused a lot of boozing. Bribing? Not touching that one. And brawling? I guess we’ll see. But the title of this post doesn’t refer to the election tomorrow, I’m talking about the wild elections of the past. Things could be worse, folks. Election Day is a serious affair now, but back in the 18th century, the words “political party” had a double meaning. George Washington was 24 years old when he first ran for a seat in the Virginia House of Burgesses. But the best president ever didn’t follow the standard election practice of his day: “swilling the planters with bumbo,” that is, getting plantation owners drunk and happy with tankards of rum, water, sugar and nutmeg. Election campaigns were a booze fest back then. Washington lost that first time and learned his lesson. Two years later, his supporters distributed 144 gallons of rum, punch, hard cider and beer—about half a gallon for every vote he received. He won. Back in the 1840s, the U.S. was an agrarian society. Farmers needed a full day to travel to their county seat to vote. Since market day was Wednesday in most towns, that day didn’t work. Sunday, the Sabbath, was also ruled out. Tuesday ended up being the most convenient day to vote for most people. Now, not so much. In 1845, Congress designated the Tuesday after the first Monday in November as Election Day. Since then, several in Congress have attempted to make Election Day a federal holiday or move it to the weekend, but their bills never made it out of committee or died on the House floor. Can’t we just vote all these bums out and start over? Election Days were boisterous affairs in the 19th century with barbecues, bonfires and parades that extended for miles. Political parties tried to outdo each other to secure the favor of voters. During the 1860 presidential election, Democratic supporters of Stephen Douglas held a “Grand Political Carnival and Ox Roast” in New York City. Unfortunately, only one ox, sheep, calf and hog were on the menu, not nearly enough for the 30,000 people who showed up and waited hours for their promised meal. Pandemonium broke out and the barbecue ended in bedlam. Douglas lost that election to Lincoln. 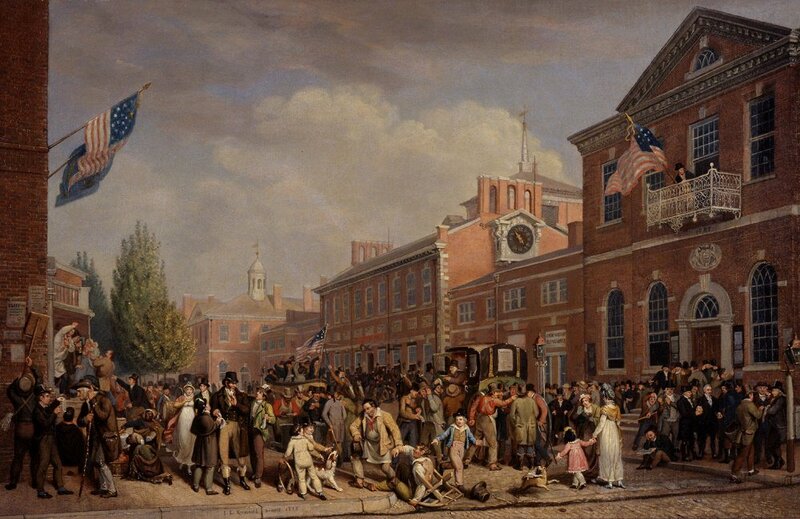 In the 18th and 19th centuries, voting was a public act. Voters announced their choice to the courthouse clerk. Later, political parties used color-coded ballots. Voters selected the ballot they wanted and cast it in front of watching eyes. The campaigns could see who was and who wasn’t voting for them—a situation conducive to bribes and threats. To reduce voter fraud, cities and states started to adopt the secret ballot, beginning with Louisville, Kentucky in 1888. 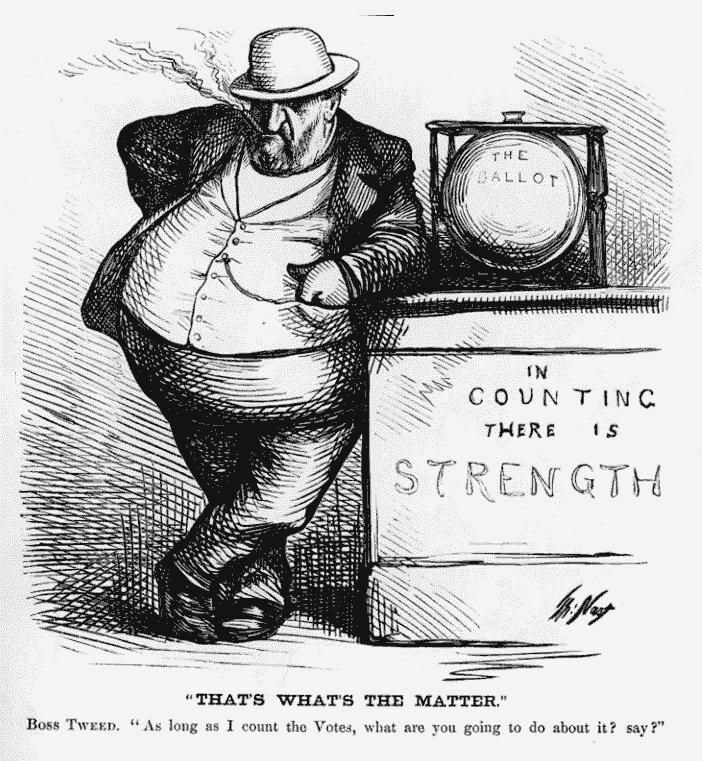 City political machines (organizations), such as Tammany Hall in New York City, didn’t stop at bribery. They rounded up cronies who threatened people with violence if they didn’t vote for their candidates. In 1853, supporters of the Tammany Hall Democrats and the Know-Nothing party got into a huge brawl. Buildings were set on fire, ballots were destroyed, and the Tammany Hall slate won the election. Securing the votes of dead people. Requiring literacy tests for some voters and not for others. Giving pre-printed ballots to illiterate voters. Hiding extra illegal ballots inside a single ballot. Quickly naturalizing citizens in return for a promised vote. Closing polls early when a vote was going their way. A new election vocabulary developed. ‘Repeaters’ voted several times in disguise. Groups of ‘colonizers’ were paid to vote in precincts where the party was losing. ‘Floaters’ sold their votes to the highest bidder. ‘Cooping’ was another common practice. Campaign workers used food and alcohol to lure drunks and other down-and-out men into basements and backrooms where they were trapped like ‘chickens in a coop.’ On Election Day, they got them drunk again and toted them around to several polling places where they voted for the ‘correct’ candidates. Tomorrow night, political pundits will call elections and announce winners as soon as precincts close. But, when Lincoln won the election of 1860, it took six days for the Pony Express to deliver the news from a fort in Nebraska to a fort in Nevada. The 1904 presidential winner was announced by The New York Times with a searchlight atop its building in Times Square. The light pointed west when Teddy Roosevelt was reelected, instead of east if his opponent Alton Parker had won. Since then, the lights haven’t stopped shining in Times Square.